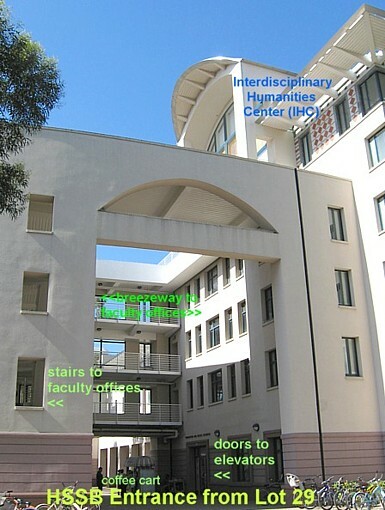 (on the 4th floor of the "tower wing" of this triangular building). We are right next to the Events Center (aka Thunderdome). 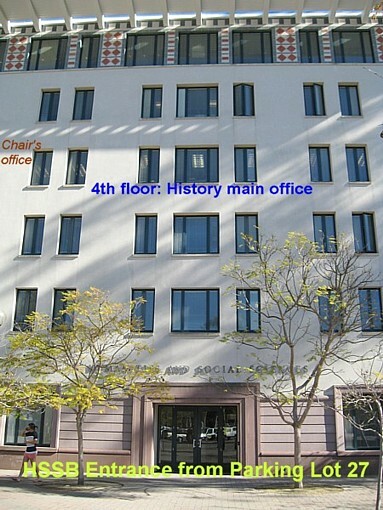 History main office phone: 805.893.2991. 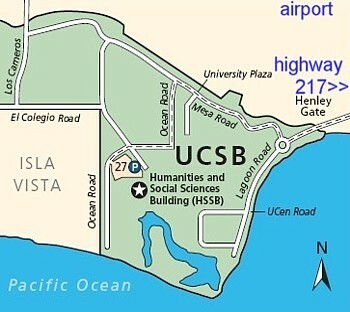 Coming north on US 101, take the Highway 217 exit (Airport/UCSB, about 4 mi. north of Santa Barbara) and follow it to the very end, under the new gateway arch at the east entrance. Go right as you enter, not around the traffic circle. 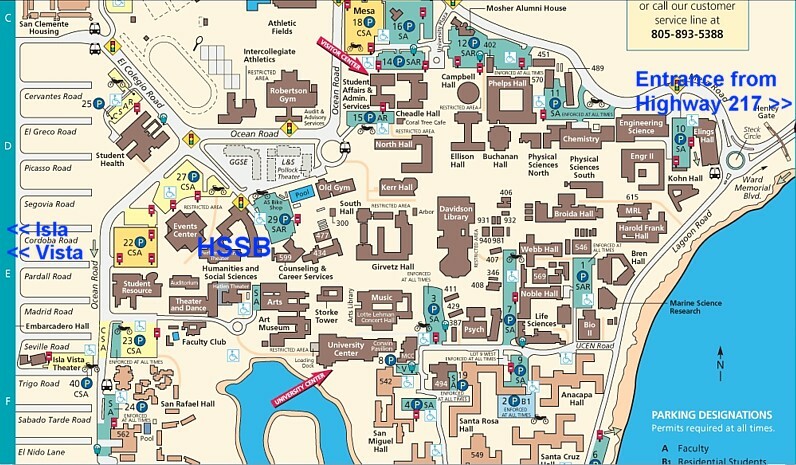 After that please see the map detail below, or thisUCSB Map to find the HSSB quadrant E2, between Parking Lots 27 and 29, near Parking Structure 22. 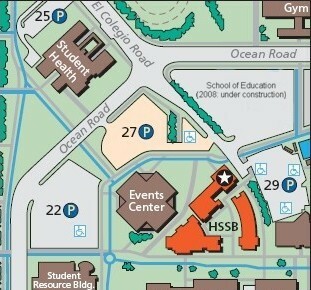 South on 101: take the Storke/El Colegio exit, drive towards ocean, left on El Colegio, enter West gate. available to purchase from vending machines at lots, with cash or credit cards. Put the receipt on your dashboard. I don't think visitors can park in lot 29, so go for lot 27, or the parking garage 22. From highwar 217 follow the dotted line on the map above. 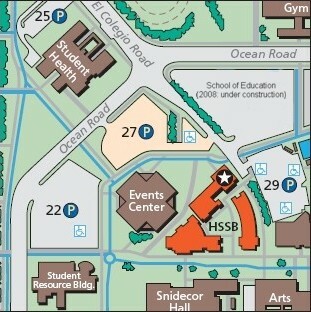 UCSB Transportation and Parking Services has printable maps --the map below is a detail from that site.